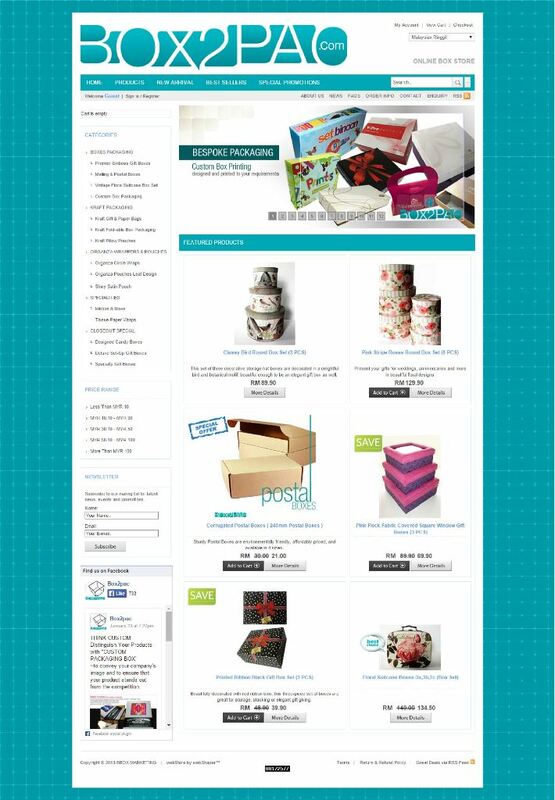 Boxpac.com is an online box & packaging supplies in Malaysia, focusing on small to medium users of boxes and packaging. They offer a comprehensive range of products focusing on the Gift and Retail markets. Their selection includes manyyitems from Color Emboss Gift Boxes, Corrugated Postal Boxes, Paper Bags, Organza Bags, Designed Rigid Gift boxes, Decorative Bows and Colored Tissue. So, what are some of the beautiful boxes done by Box2pac? You can easily have a custom packaging box to really differentiate your products from the rest. A different and unique product packaging is important as it represents your company’s image. Printed boxes above is an example of professionally printed custom made boxes. 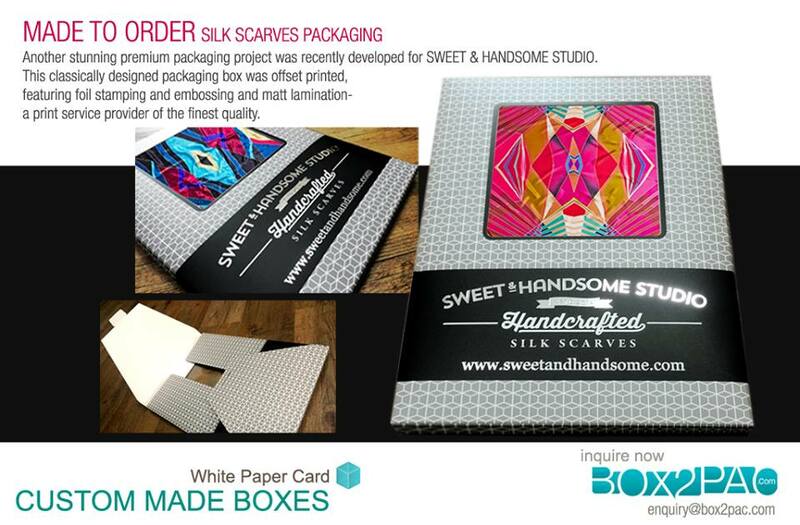 Of course, you can have your desired prints on your custom made boxes too. And if you need extra add-on services, Box2pac can make die-cut inserts to hold your small and fragile items safely. 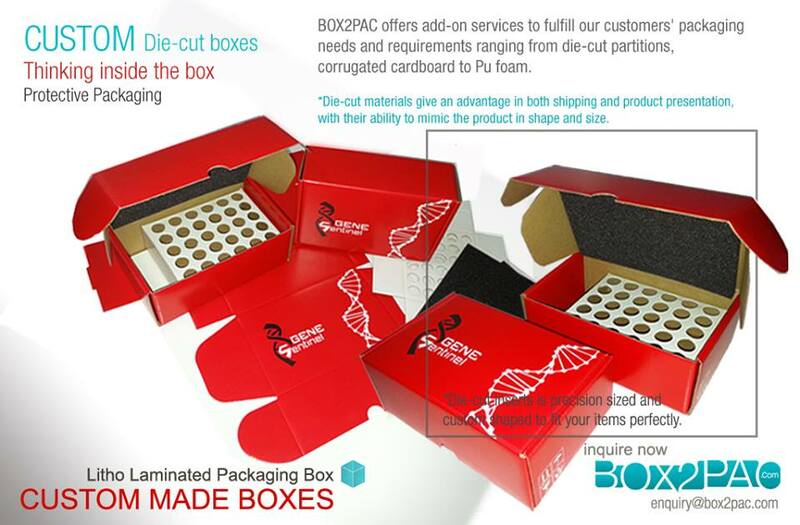 Whatever partitions you need in your packaging, you can get it customised at Box2pac. Boxes like above is perfect to hold any small decorative glass tubes so as not to break them. 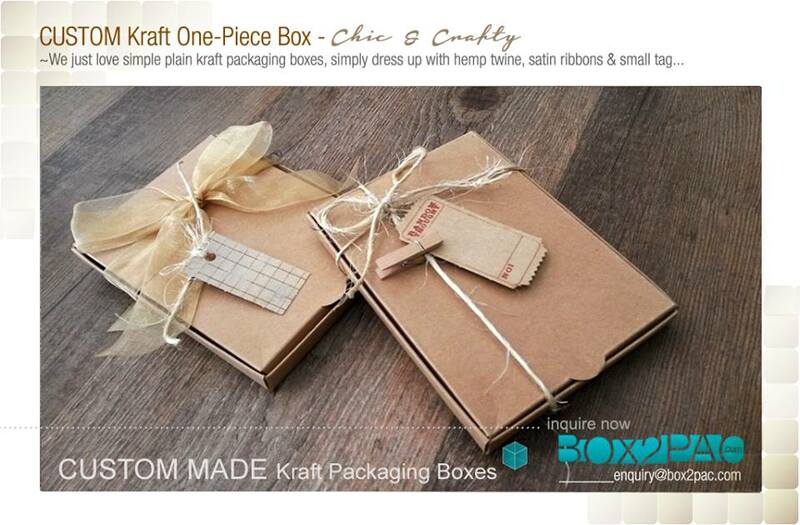 If you also need a really creative packaging to pack your gifts for your loved ones, you can try this Kraft one-piece box which is simply chic and crafty looking. The brown background works great for any theme especially vintage theme. Simply add a hemp twine or ribbons to make things even more pretty to look at. Wanna have a custom made boxes yourself? There’s more on Box2pac Facebook page!